When you first walk in the room, to the left, is a little nook. 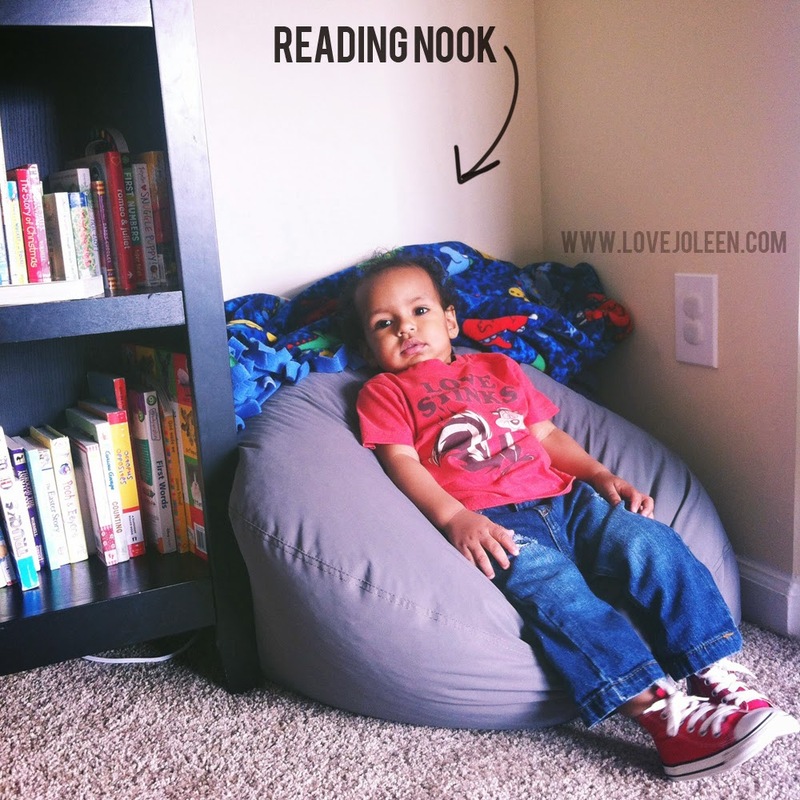 Since I've been dying to create a reading space for him, I thought this would be perfect! I know he doesn't look terribly excited in the photo, but he loves it! Haha. We have all of his board books out and the other books are in a box in the closet for when he's older. Every night we sit on the bean bag while Daddy reads to him. This is also where I nurse him just before bed. 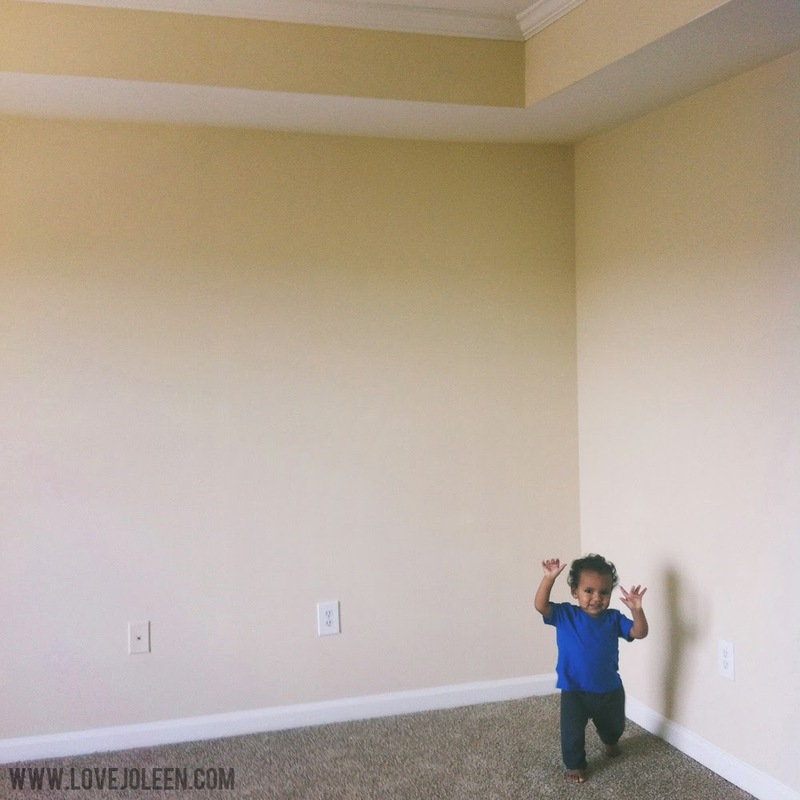 On the right side of his room, on the same wall as the door, is his crib. We're planning to move him into his "big boy bed" soon-ish. He goes to bed at night in his crib like a champ but prefers to nap on the couch with Mommy. 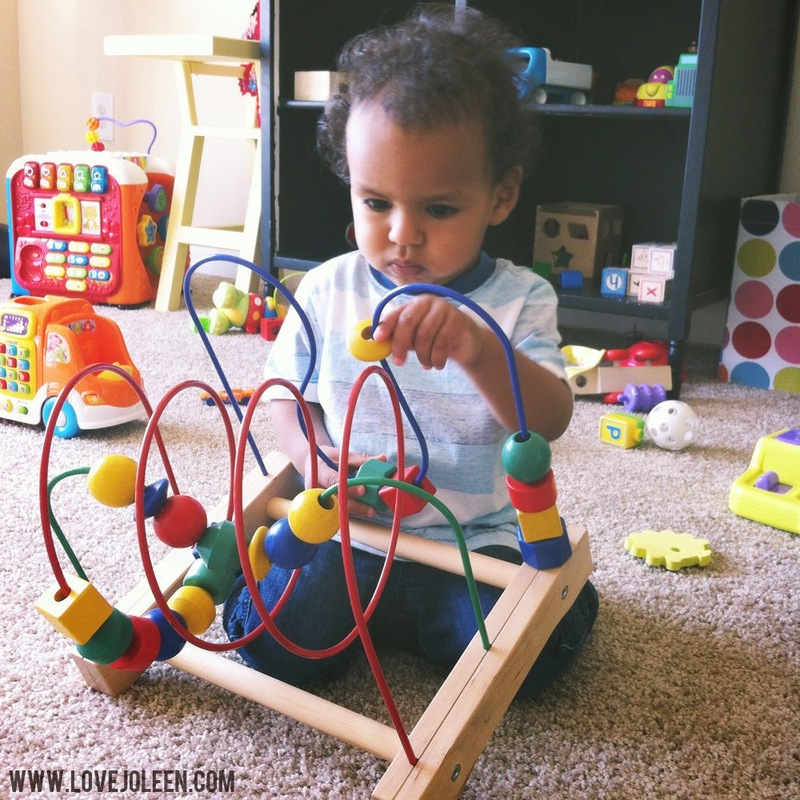 Perpendicular (I've always loved that word) to his crib is his toy wall. We use his old changing table as easy-to-access shelving and the top portion is currently holding artwork that needs to be hung and a diffuser. I had hoped to knock out Benjamin's new room decor immediately, but as life often happens, other expenses have had to take priority. Instead of a big room reveal from the get, I thought I'd share "work in progress" photos from time to time until it's complete! 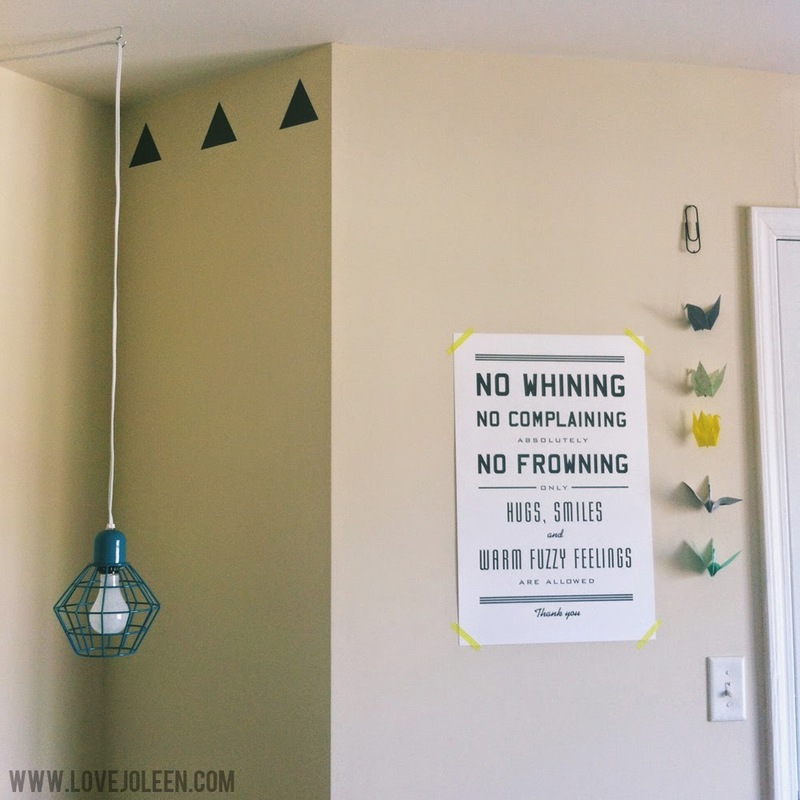 Urban Walls was gracious enough to send us the triangle wall decals in black! The wall that creates Benjamin's reading nook jettisons out a bit, which made this the perfect wall, in my opinion, for the decals. The directions were clear but I was still a little intimidated to begin. At first, I made the process entirely too complicated, and began cutting them from the contact paper to adhere one on one. Once I figured out that I could line up a row at a time, while leaving additional space between the triangles, I was set! It really was an easy process. I could not be happier with the way the wall turned out!! 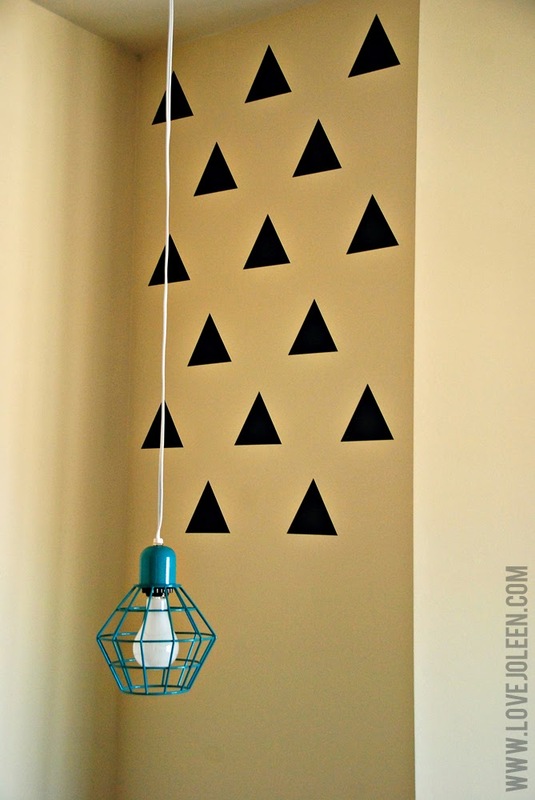 Initially, I had intended to have the triangles go all the way down the wall, but I thought better of it. I don't want Benjamin having any excuse to pick at them. 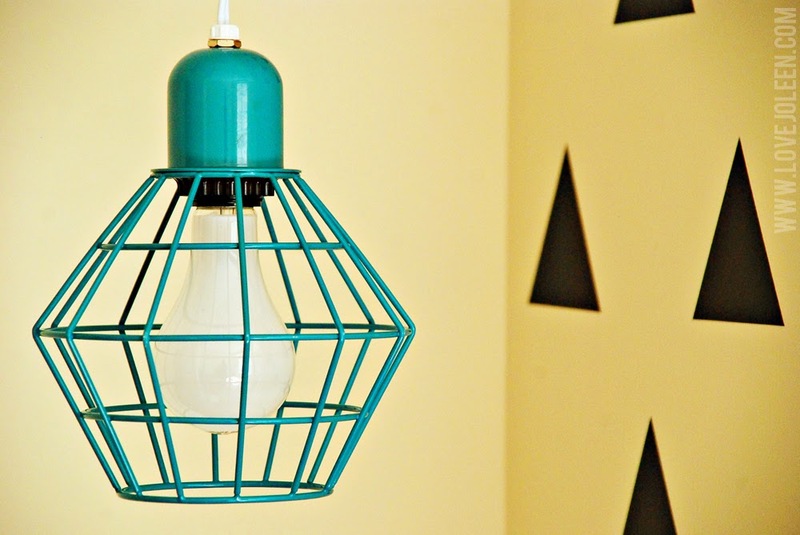 I found this hanging pendant light on clearance at Target for less than $6! I am kicking myself for not picking up a second one! I love the industrial look and fun color! I hung it just above Benjamin's bean bag and I like how it looks near the decals. I am a huge fan of bartering and I try to do it whenever possible! I traded a friend of mine a mini session slot back in February for this awesome letterpress print. I still may frame it down the road, but for now I love how it looks adhered with this cute washi tape. 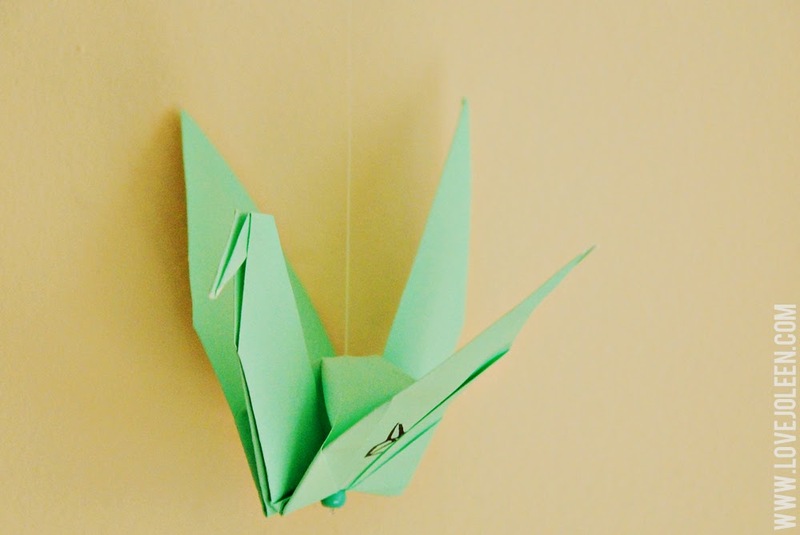 I also hung the adorable mobile from our good friends at PaperKrane. That door goes to his closet and on the other side of the door is this corner. 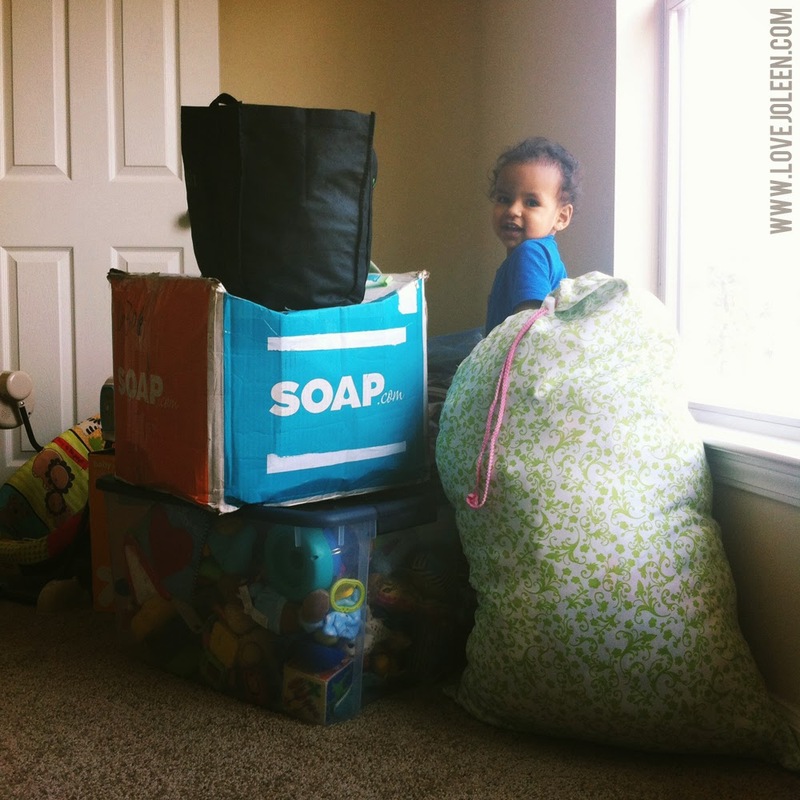 There is usually a big tote full of his stuffed animals, but I moved it for the photo. Benjamin LOVES this desk. He says "desk" all the time and sits in it and wants us to read to him in it. All his friends who come over like it too. 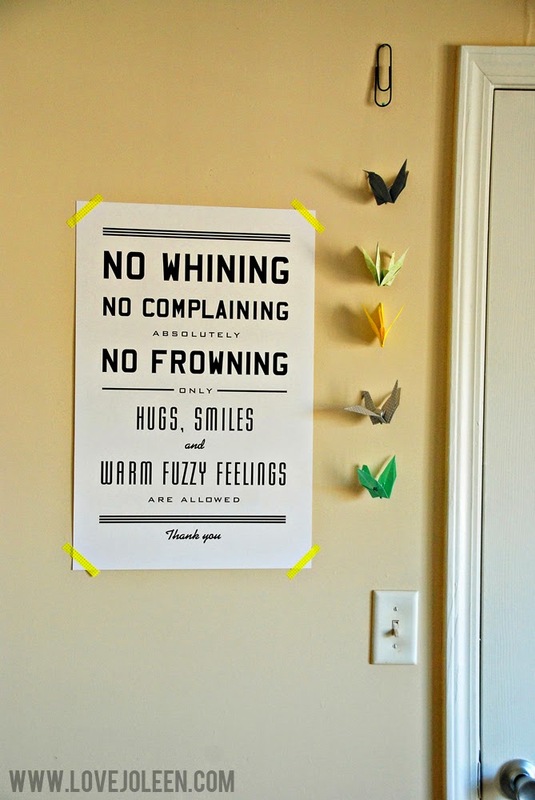 I purchased it a few years ago as a prop for one of my back to school mini sessions and am so happy I hung onto it! 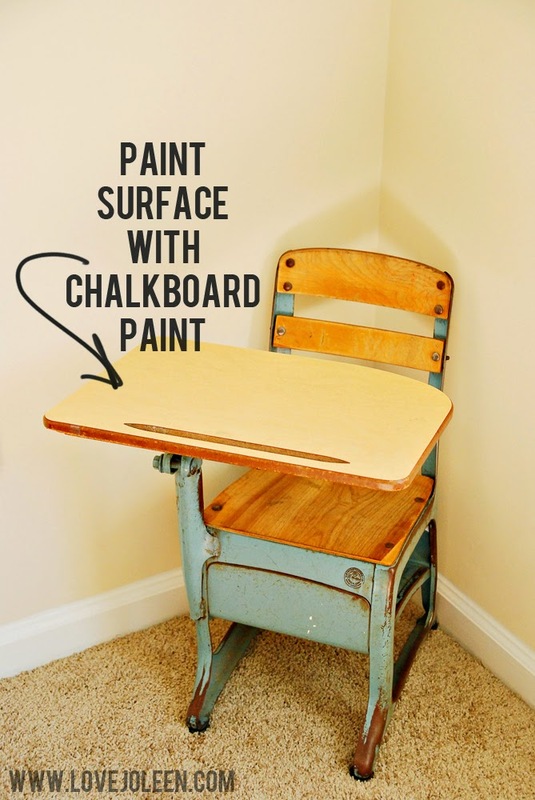 My plan is to paint the surface with chalkboard paint. 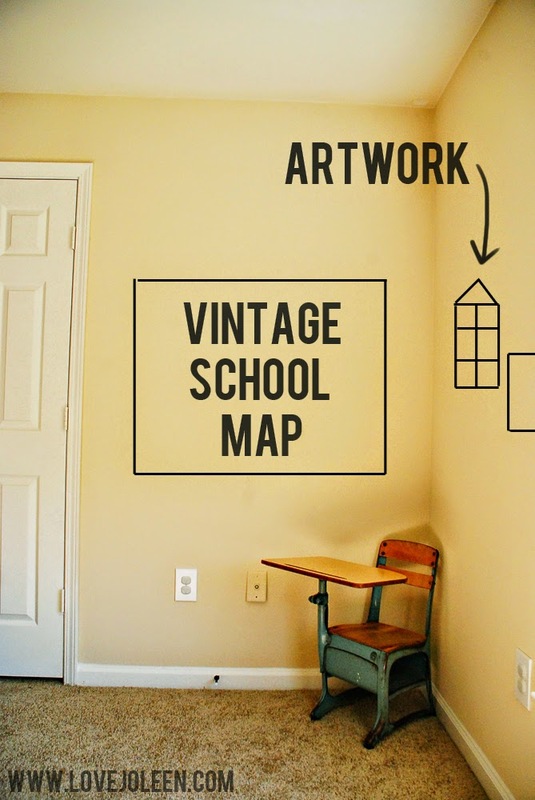 There is a large open space just above it where I would love to hang a vintage school map. The kind you pull down would be fun, but I'm open. On that other wall, which houses the large window, I'd like to hang some artwork. I have a wooden house shaped knick knack holder that I think I'm going to paint for his little trinkets or figurines. I also have a couple fantastic prints to hang. I look forward to sharing more as it comes together! Thanks again to Urban Walls for the fantastic decals! We love them! !